A taste of U.S. innovation could go a long way for young Cuban entrepreneurs. At least that's the thinking behind a New York City-based initiative called Innovadores. The program, founded and funded by nonprofit C.A.A., is connecting four Cuban entrepreneurs with internships at tech startups. The U.S. is flooded with incubators, accelerators and resources for entrepreneurs. 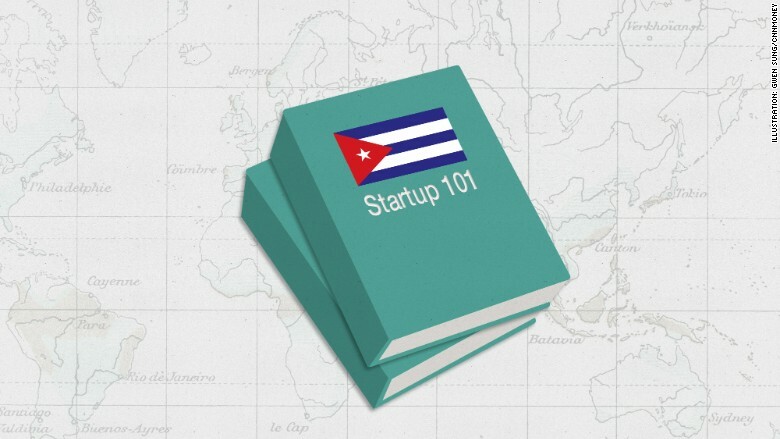 But Cuba has very little institutional knowledge on how to run a startup -- it only recently loosened restrictions for privatized businesses. And access to online resources are also hard to come by: only 5% of Cubans have access to the Internet. Innovadores -- which kicked off last Monday and runs through mid-August -- pairs each participant with a young company at Grand Central Tech incubator. They'll work 40 hours a week with the firms, learning how to turn data into code and helping with day-to-day operations. "There are so many problems to solve in Havana," said Miles Spencer, an angel investor and founder of C.A.A. "So, if you just give them a sprinkle..."
Innovadores came together fast and furiously. It's the brainchild of Spencer and John Caulfield, formerly Chief of Mission of the U.S. Interests Section in Havana. 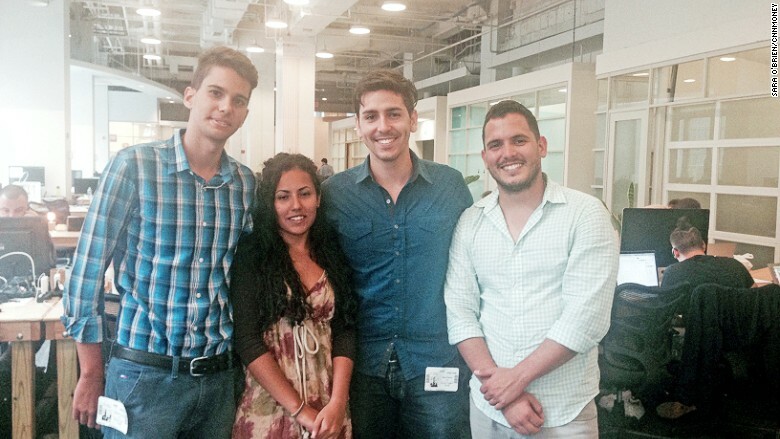 Four Cuban innovators will spend one month at Grand Central Tech to learn entrepreneurship. Spencer said they looked for students with a demonstrated interest in STEM fields who had strong ties to their homeland. The mission of the program, which is sanctioned by Cuban officials, is to bring the innovation back to Cuba -- not funnel Cubans into the U.S.
And the four interns have big ambitions. 21-year-old engineering student Raul Perara Gomez said he wants to create an energy-efficient wireless charging technology for cell phones and computers. Innovadores fits in well with Grand Central Tech's existing internship program. It plucks underprivileged students from local high schools, giving them a chance to break into the tech world with an eight-week internship. Including the four Innovadores participants, there are 35 interns at Grand Central Tech's 19 companies. Grand Central Tech admits startups into its program annually -- they receive free office space for one year and agree to take on interns in return. The timing was ripe for this program, as U.S. and Cuba embassies reopened on July 20. When I met with the interns last week, they were just settling in and adjusting to the cultural differences -- like consistent access to the Internet. "Back in Cuba, it's more difficult, more limited," said Gabriela Isabel Rodriiguez Campo, 19. At the end of the program, the interns pitch business ideas to take back to Cuba. They've yet to come up with these, but one thing they told me they'd love to see in their homeland? A tech incubator. Spencer and Caulfield are thinking similarly -- they're looking into launching one in Havana.